If this episode feels long and clunky, that’s because it is—this long PBS episode are in fact the last two episodes of the British season, lumped together. (We get their two-hour Christmas special as our season finale, next week.) It feels like a bifurcated episode, especially because both parts have a clear climax and resolution; and the end of the episode feels like a very strong resolution, because British viewers waited a month or two before the Christmas Special. But overall, the two-hour format works well this week. And I think that’s because it has a somewhat minimal focus on two of its theoretically most important characters. How did it come to pass, that the strongest parts of the episode are the parts without Matthew and Mary? I have grown accustomed to those two carrying the rest of the show—especially in season two, when it felt like the show was muddled as it figured out how to move past the war. Now the rest of the show is carrying them. The various other subplots and supporting characters feel far more evolved and lived-in than the airless bubble around the two handsome Crawley cousins, dryly discussing reproductive health over tea. Because the rest of the episode really does come together beautifully. Thomas, ah, Thomas! Thomas steals this episode, and with it, my heart. Thomas has been one of the best characters the show’s created—one of the most complex, one of the most flawed. And his sexuality has been this open wound for years now—a secret he’s carried around with him through numerous heartbreaks and failures. We have seen him be ruthless and vulnerable and ambitious and maimed. It is fitting that in the latter half of the season he gets to take center stage as the main character—for he is the emotional center of this episode without a doubt. I am beginning to think that the entire season has been ramping up to finally addressing Thomas as he is, instead of as who he is trying to be—hence the new footmen, the love quadrangle between them and the kitchenmaids, the feud between Thomas and O’Brien, and Bates’ return to Downton Abbey all converging on this moment. To Julian Fellowes’ credit, all of these threads come together at the same time, and in a subtle enough way that suggests the type of careful foresight I thought was lacking from earlier episodes this season. This is a horrible way to come out—but also an utterly believable one. O’Brien flatters Thomas’ vanity, his pride, his desperate and human need to be loved, just as she flatters Jimmy’s desires for attention and professional success, as well. Thomas has his moments of petty bitterness, but it’s impossible not to feel for him at the crucial moment, when he faces his years-long loneliness, his self-loathing, and dares to hope for the possibility of someone to care about. Despite being a total prat about it as the episode goes on, Jimmy’s reaction is entirely understandable, as is Alfred’s surprise. And even O’Brien isn’t positioned an evil character—she has her twisted reasons, just as Thomas has always had his. The scene, then, feels like a horrible slow unfolding of what we already know to be true. 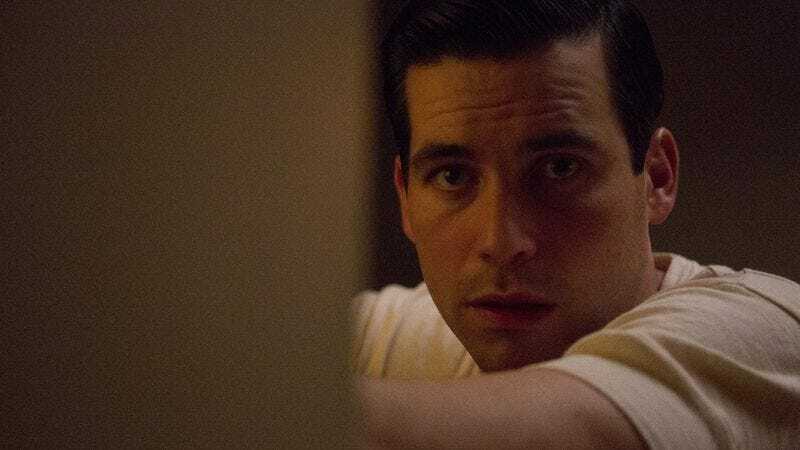 That moment, with shadowy figures going up and down darkened hallways, is one of the best directed this season—that gradual but quiet buildup of suspense in a big house, the drama that goes on in the middle of the night. (Fellowes’ other work Gosford Park handles that with style, in part because of its incredible direction by Robert Altman.) For a very internally dramatic moment, that scene is electrifying, and the fallout—where Thomas is shamed by Jimmy, Alfred, and Carson—is devastating. I have never felt so much for Thomas, never cringed so much at how the slightest snub of a piece of bread could hurt a man. Jimmy and O’Brien get more and more vicious—pushing first for his dismissal, and then that he be sent away from his home of over 10 years without a reference. The discovery and management of the “scandal”—that Thomas is gay, or at least, that now everyone knows he’s gay—is done in the way Downton Abbey does best—by viewing everything through the lens of someone else, who will then whisper something in confidence to a friend, which might then be overheard by someone else…. and on and on, up to Lord Grantham himself (who remarks, in what has to be one of the best lines of the season, “I mean, if I’d shouted blue murder every time someone tried to kiss me at Eton, I’d have gone hoarse in a month”). The strength of this device is that it forces nearly every member of the downstairs staff to converse with each other about it, and in a few cases, confront each other about it. I think one of the reasons I’ve had trouble with Mary and Matthew this season is because they’re no longer the emotional centers of the show. Mary in particular was the emotional conduit that brought together so many disparate lives and storylines together throughout the first and second seasons, but she’s redundant now that she’s happy. Thomas steps into that place, and so this is Thomas’ turn to be a filter for everyone else’s stories. This device is crucial to Downton, and I’m glad to see Fellowes has found another character to work with. 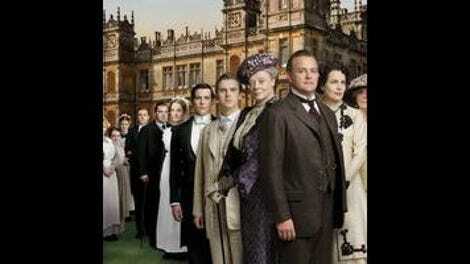 Because the eternal, recurring point of Downton Abbey is that they’re all in this together. None of this is happening in a vacuum—Thomas is a member of the community, and he’s as carefully woven into the fabric of the house as Lord Grantham himself. Of course Daisy and Ivy and Mrs. Patmore will gossip about it if they can; of course Bates will try to intercede and do the right thing. This is their family and their community and their home, and O’Brien can plot all she wants, but she has to capitulate in the end—because she’s woven into that fabric too. Of course just as I forgot about O’Brien’s mad revenge with the bar of soap outside Cora’s tub, it comes back. It’s really nice to see the memory of an old scandal resurface—and even nicer because it’s something we saw ourselves, and we can remember it along with Thomas, and watch her remember, too. It’s the type of layering that I thought Julian Fellowes had lost the knack of—but clearly he knew what he was doing with Thomas’ story, and it’s possible that he always intended to bring up O’Brien’s great betrayal of Cora as Thomas’ only weapon against his onetime friend. This is not retconned. This is not lazy. This is true drama, built up over seasons of work. And it reinforces the idea that the staff and family of Downton Abbey are all in this together, whether they like it or not. That’s reflected in the upstairs plot, too, which is the continuing argument about the management of the estate. Matthew’s character continues to be written all over the map, but he sounds a little like his season-one self when he advocates for changes in the estate with Lord Grantham. (In case you were not sure whether or not Matthew represents the future, Matthew makes sure to say “new” as many times as possible, which alone sends Lord Grantham into a panic.) As the episode ramps up, and Mary, Branson, Murray, Cora, and even the Dowager are brought over to Matthew’s point of view, Lord Grantham bounces around feeling increasingly useless, asking again whether or not everyone else is “against him,” as he asked Mary last week. His estate-manager quits in a huff after hearing Matthew’s plans, and the Dowager suggests appointing Branson to the spot (after all, the guy doesn’t have a job). Lord Grantham points out with a huff that Branson doesn’t know the first thing about managing farms, to which the Dowager responds, perhaps not, but he’s worked on one, which is closer to the land than any of us have been. In fact, it’s Branson that brings together the upstairs plot to what feels like a satisfying conclusion. He’s an outsider to this family, and now in it without an ally (unlike Matthew, who has Mary to back him up, and years more to get used to the idea of being the heir). He has to learn how to live with these people as his kin, and it’s a little rough. His brother comes by for the baptism and hangs out in the servants’ hall, sending Carson and Mary into near-apoplexy. He has Baby Sybil baptized Catholic, in defiance of Lord Grantham, Travis, and appropriate Catholic saints’ names. He brings up sheep farming in polite conversation, right next to Marxism. He’s more or less everything that Lord Grantham hates. He’s going to be a weird uncle for the rest of his life. But he is inextricably tied to this place, too, from the first time he set foot in Lord Grantham’s library and asked if he could borrow books, to now, when he walks into the house through the front door. I don’t fully buy the transformation (I see they’ve got him wearing nice suits pretty fast), but I believe the death of a spouse and the responsibilities of a child can very much change a man, and we see him grapple with those changes over the course of even this episode. Eventually, what brings Lord Grantham back to feeling like a man of importance is cricket; or, at least, the promise of it. Branson tries to explain to his father-in-law that he and Matthew are giving to Downton what they feel they can—farm expertise, or business expertise (or their sperm! ), whatever they can do for the estate. It’s a lovely speech, especially as he closes with reaffirming Lord Grantham’s value to the estate—in that he knows the most about the land and the responsibility they have to the people who are his tenants. Robert’s moved. Clearly, where Matthew is forceful, Branson is eloquent (maybe that’s why Branson got his lady love to marry him after a few months, rather than several years). But he’ll only go along with the plan if Branson will consent to play in the annual cricket match, where the house plays the village. Lord Grantham is very keen that Downton Abbey win the match this year, you see. (To which Edith remarks, “Why don’t you support the house and the village? You own both.”) No one else cares at all, of course (except Mosely, for some reason, downstairs)—but as the game draws nearer, it increases in importance, gathering together various disparate plotlines. Thomas is allowed to stay on for a few days longer to play in the cricket-match. Branson and Matthew can have their way if Branson plays the game, too. The game itself—patriarchal, traditional, but changing, as the teams fill up with new players—is itself a metaphor for the community of Downton Abbey—a community that has to be both guided by tradition but also willing to move forward into the future. Yes, it’s cheeseballs. But this is Downton Abbey. And so it’s during the cricket game that Lord Grantham begins to find his footing as head of the estate again, after losing all of Cora’s money in a speculation several episodes ago. Only he can really put the issue of Thomas to rest. Only he can reassure Jimmy, soothe Alfred’s concerns, and support Carson. Only he can validate Matthew’s plans and embrace Branson as part of the family. At the end of the day, he is the seat of power in that grand house, and Downton Abbey doesn’t hold together without an Earl of Grantham. Is this an extended love letter to the aristocracy? Oh, absolutely. But it’s a pretty one, is it not? I find the idea of Matthew dismissing Mary’s operation (!) with a casual grin and forced enthusiasm about making babies to be so repugnant that I’m going to try to pretend it didn’t happen. This plotline drags down the episode and feels like such a contrivance that I think I’ll do better just not thinking about it too much. “The fourth earl only saved the estate by dying.” Murray’s full of gems. Edith has a crush on her editor… who is married to a crazy woman. Sigh. Edith just cannot catch a break. But I thought she handled telling him about her jilting with quiet dignity. She’s turned into the Bridget Jones of her era. I don’t know what else to say about this so far except that Gregson is much handsomer than Lord Anthony. Also, I love Edith, I really do, but she still needs to stay away from that dress and that hat. She is, however, wearing lipstick in the editor’s office, which is rather risqué! Go, Edith! I’m just going to leave this here: “You can kiss me, but that’s it.” …Wow. I like Ethel, but I don’t think she’s been great for the show, and I’m glad she’s leaving (much as Granny is also relieved). “Get back in the knife box, Miss Sharp!” CLASSIC BURN, Miss O’Brien!! Mystery-solving Carson and Robert can have anything they want. Because no one can stop them—not footmen, not under-butlers, not even the po-lice. And a quick directing note: In Branson’s final scene, when he is walking up to the tent where the ladies are and catches sight of an empty chair by Cora, it’s so clearly Sybil’s chair, and he is so clearly aware of her absence, that my heart broke a little bit.